As a healthcare professional, it can be a really tough decision choosing whether to study for the OET or the IELTS programme. Both are accepted by the GMC and the NMC as a validation of your English level. Many medical professionals just don’t know which test would be more suited to them and which one they would find easier to pass. In this article, we will discuss the differences and similarities between the two tests and help you to finally make that decision so that you can get moving and get that test passed! Q1: What are the similarities between OET and IELTS tests? Both the OET and the IELTs tests have a similar format that would be found in most language tests. They are divided into four subsections-writing, reading, listening and speaking. Your level of English is assessed in each of these areas. The scores from each of the areas are then combined and you are given a final grade. So far, still impossible to choose! Read on and we will outline the important differences that will determine the test that you opt for to develop your English skills, show them off to the appropriate body, and get the position that you want and deserve. Q2: What are the differences in the content and situations? The IELTS test is not tailored to medical professionals so the content of the language tasks will be on all sorts of different themes. These may be current affairs, social issues, opinions, hobbies or a variety of situations that you may encounter in your life in an English-speaking country. The content of the OET test, however, is based around situations that would occur in your specific medical field, be that nursing, medicine, pharmacy, physiotherapy, dentistry etc. The elements of language that you will be studying will be those related to your medical profession and those that would be used in a work-place context. Q3: Are the costs and test dates the same? As the OET tests are more targeted and focussed towards particular professions, they are a little more expensive than the IELTS tests which have a more general curriculum. Similarly, there will be more IELTS test dates over the year as a large amount of people take these exams for various purposes. There are also regular OET tests, but you will need to plan a bit more in terms of when you will take the tests. Q4: Will I need to prepare more for IELTS or for OET ? When learning anything new, preparation is key. Both tests will require planning, preparation, revision and practice. Some of this learning will be similar in terms of general language skills. However, there are also many differences, so it is important to make a decision about which test to choose and stick with it so that you don’t give yourself any extra work to do! On the plus side for IELTS, there are more study resources available. However, due to the generalised nature of the tests, the resources are very broad, and putting in the groundwork can take quite a long time. Regarding OET preparation, there are less resources available, but they tend to be very focussed towards the prerequisites of the tasks. The quality of study materials is high, and preparation for the tests can take less time due to the targeted nature of the study programme. Q5: Will I be accepted ? OET is likely to be accepted by medical institutions in which you would be looking for work. IELTS is accepted more generally but OET may be preferred by your institution. Q6: What happens when I need to retake the test ? Students often retake English tests before they gain the required grades. The rules about retaking the tests are different for IELTS and OET. It’s important to have an understanding about how both of their systems work in this situation. With the IELTS tests, it is necessary to take the entire test again, that is all the 4 sections, if you fail any section of the previous test. With the OET test, however, you are only required to retake the sections that you have failed. 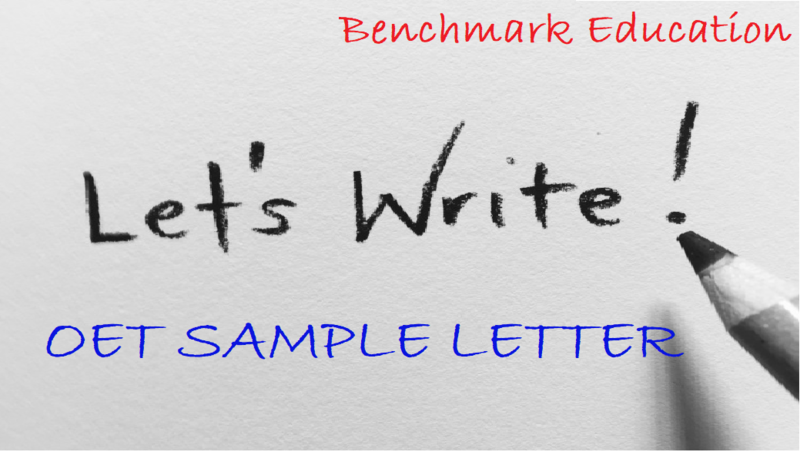 So, if you have passed everything but the writing, for example, (as is often the case) those scores count towards your final mark and you just need to get your writing level sorted. Evidently, this is an area where taking the OET tests would be favourable. Please note that there are some boards and institutions that specify that all the skills for the OET are passed in the same sitting so it is worth checking the relevant website for this information before you make any decisions. Q7: Is OET or IELTS easier ? Well, I won’t spend too much time answering this one because, despite their differences, they are both testing your English level, and which test you find easier really depends on your own strengths and weaknesses and ultimately, which test is more suited to you. 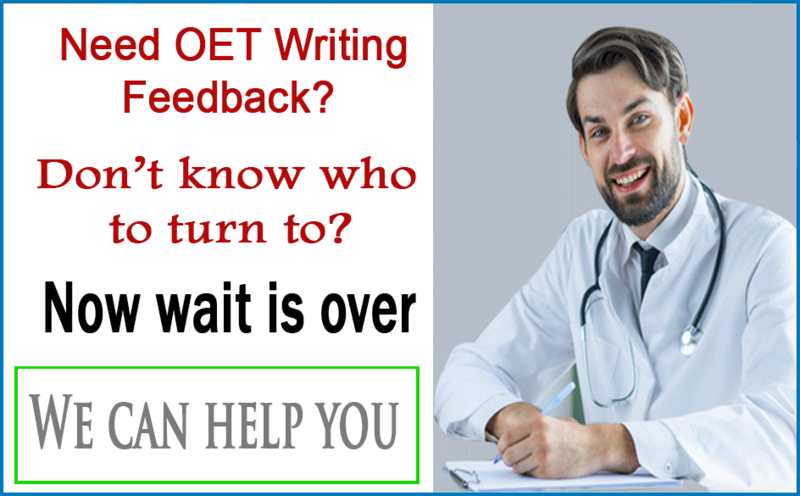 Obviously, the OET would be really difficult if you were not a trained medical professional but the IELTS may be harder if you are more comfortable with the English used in your professional field. Rather than determining which test is easier, it would make more sense to decide which is more suited to you, and only you can do that! Q8: Can I switch tests if I am finding one too hard ? Switching from IELTS to OET or vice-versa due to frustration over trying to pass the tests or the possibility that a different test may be easier is an option that some consider. If you are at a fairly early stage in the learning process and you feel that after researching the two tests, you would like to switch, this may be a good idea. However, as a general rule it makes sense to stay with one or the other as some of your preparation would be wasted, costs needs to be taken into account and ultimately, it may be that your English skills just need some more practice to get you to the desired level. So now, it’s over to you. Jot down the key points from this article, take a look at the resources, study exercises, sample answers and tests available and make a decision as to which test will give you the best opportunity for your career path. And then it’s time to get started…there’s no time like the present!